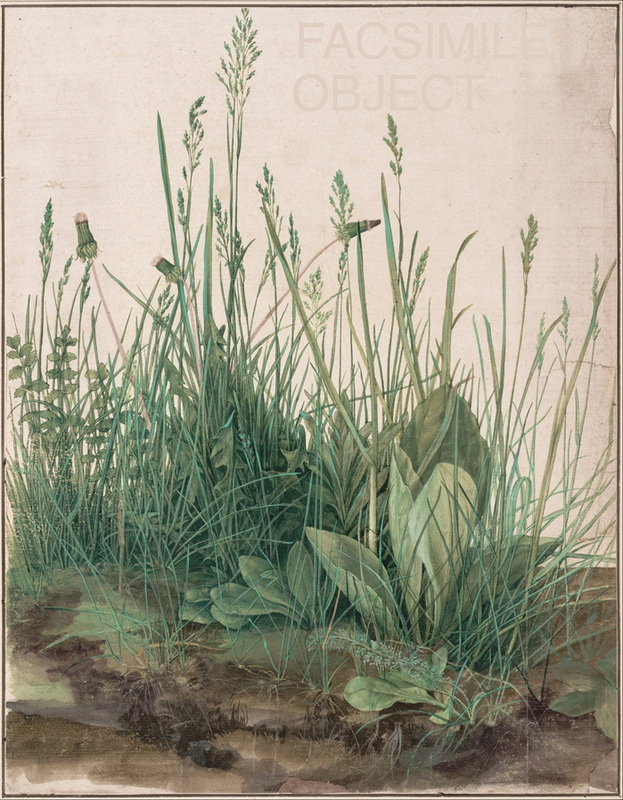 Would you believe me if I told you this was Dürer’s Great Piece Of Turf and not an altered jpg? “Three months every few years“? Did the Albertina leave the reproductions up when they loaned the originals to the National Gallery in 2013? Wouldn’t it have made more sense to just loan the reproductions, and let the originals rest in safety? I wish Charney would have brought more contemporary notions of reproduction to bear here, beyond a namecheck of Benjamin. And the aeon context doesn’t help, teeing up with a clickbaity question “Is there a place for fakery in art galleries and museums?” and soliciting comments with a moot one: “When it comes to art, can a reproduction stand for the original?” When some of the world’s leading museums swap facsimiles as a matter of course, the answer is obviously yes. I’d just like to find out more about how they do it.